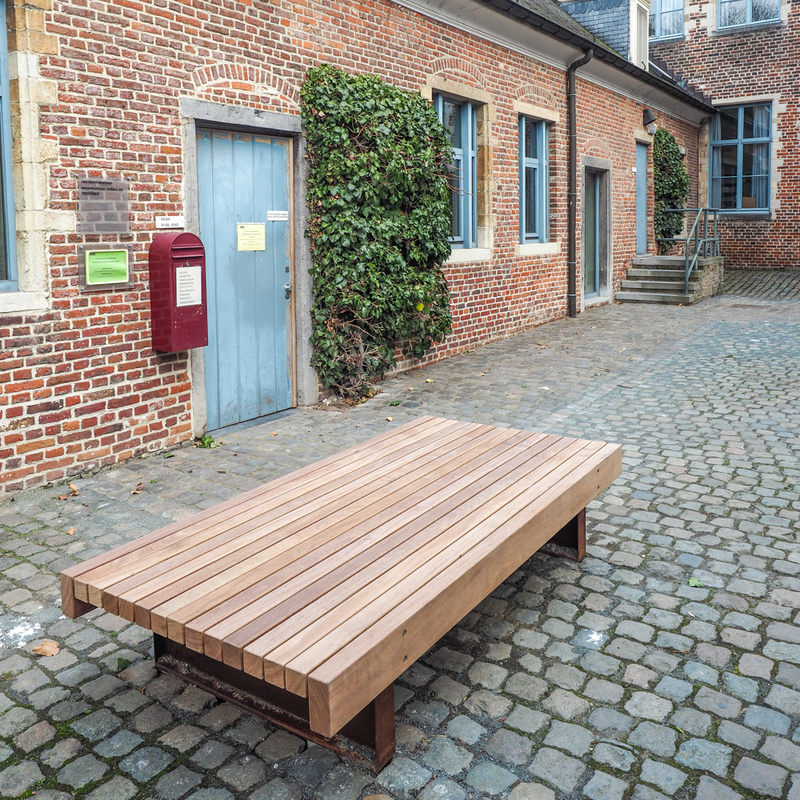 Solid Serif Benches combine a seat made of Solid slats (7x7 cm - 2,8”x2.8”) with a Rough&Ready locking beam (7x15 cm - 3”x6”). 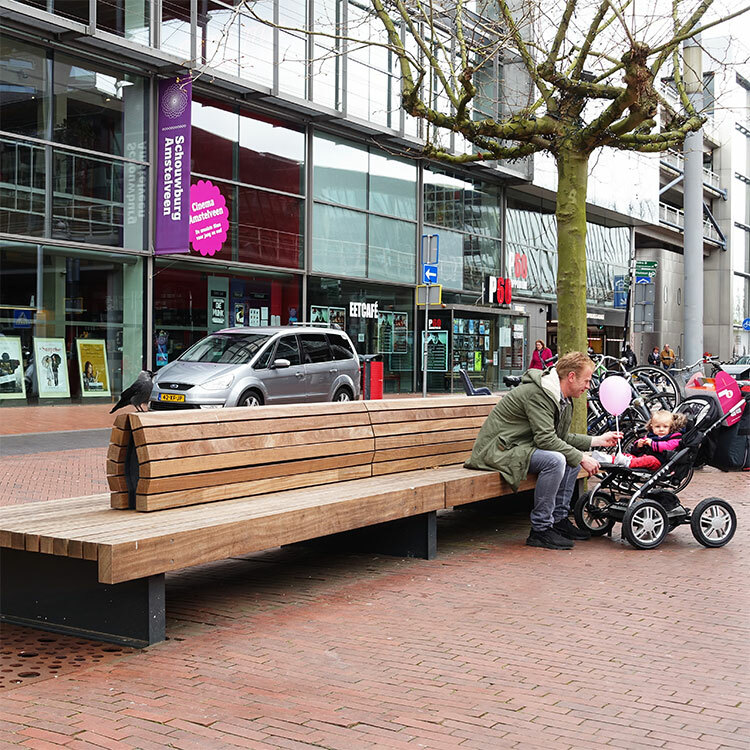 The spacious benches can be equipped with a beautifully designed double backrest that provides excellent ergonomic support for both shorter and taller people. 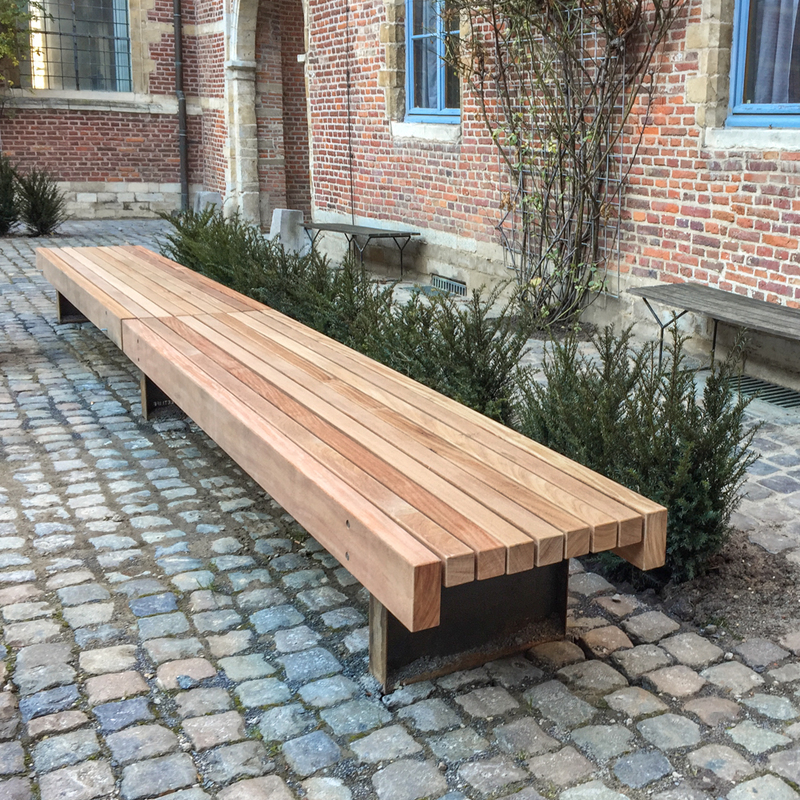 The generously dimensioned benches can be extended as desired. 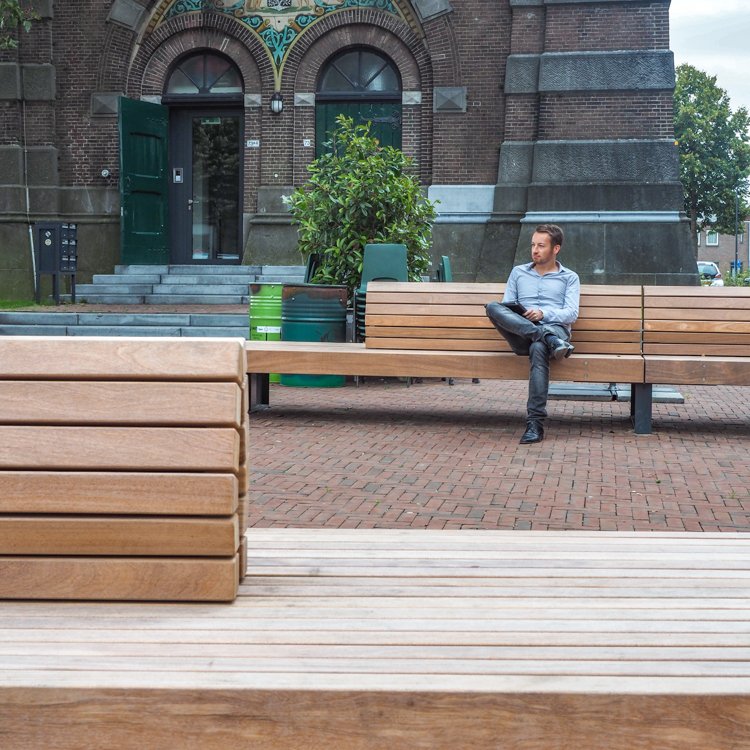 The supports are made of thick-walled CorTen steel and can be optionally finished in an RAL coating.